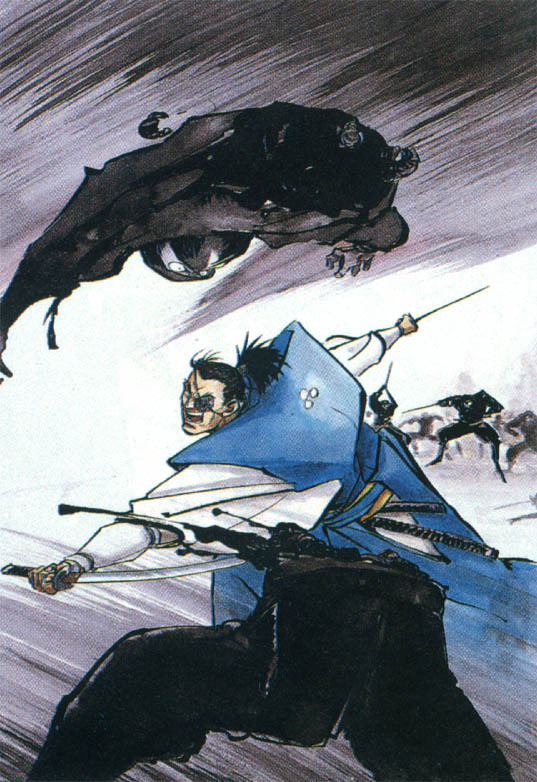 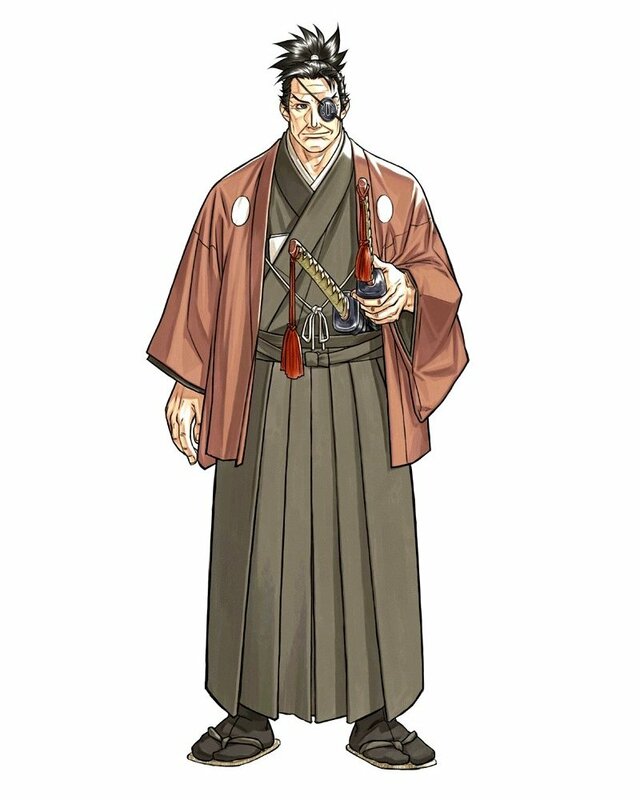 Jubei is a one-eyed samurai of the Yagyu clan. 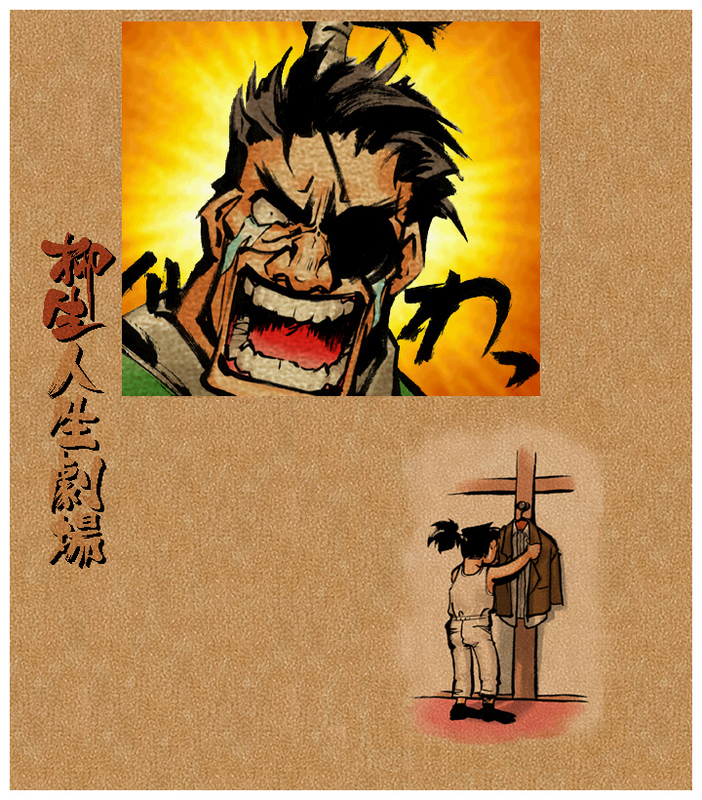 He was born as the son of a poor samurai. 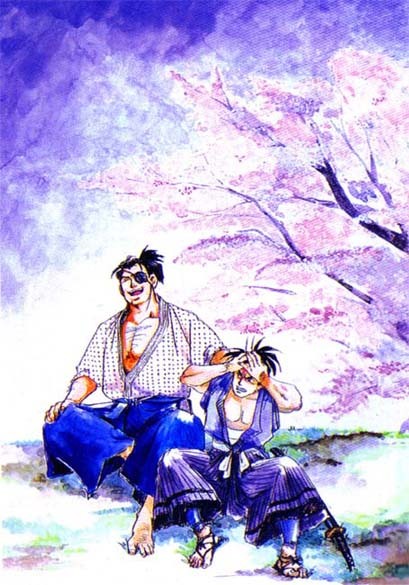 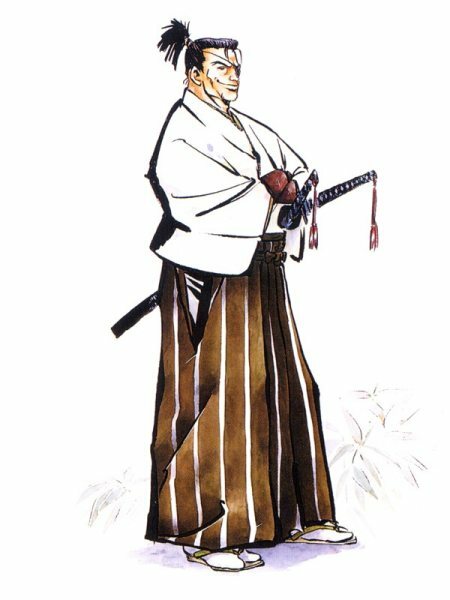 But because his skills in sword fighting was great, he was adopted by Yagyu Munenori. 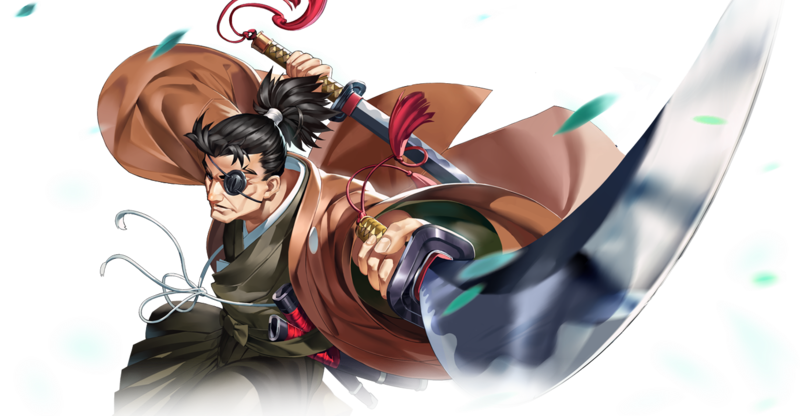 His skills in sword fighting eventually earned him the position of the leader of the Secret clan of Yagyu, the Iga ninjas. 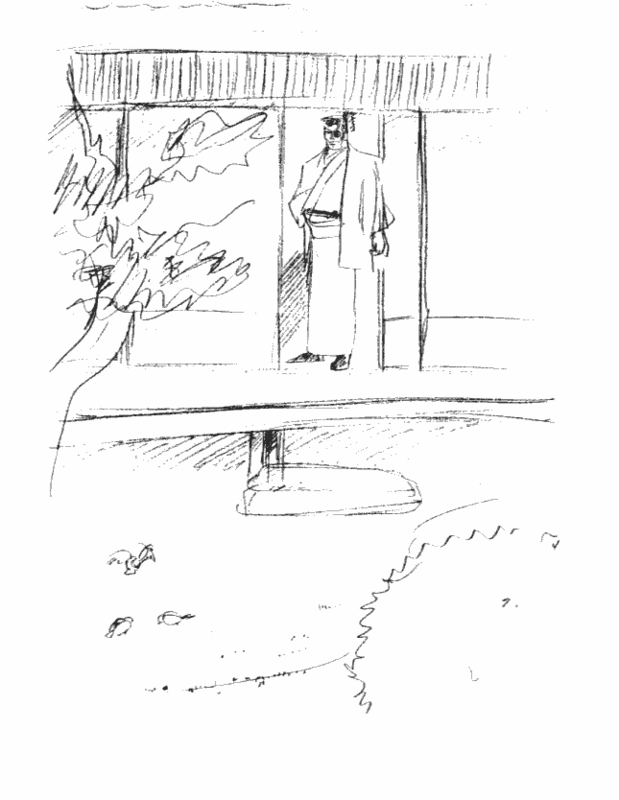 One day, his family suddenly disappeared without a trace. 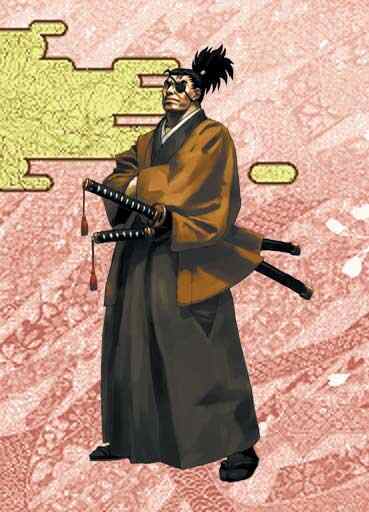 Since then, Jubei travels throughout Japan to find his lost family. 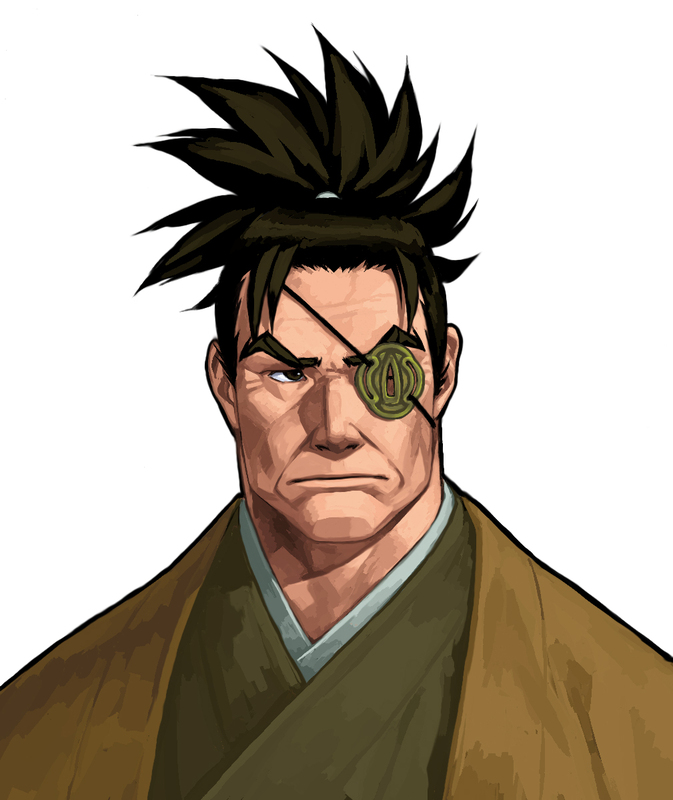 During his travels, he was challenged by a young warrior named Haohmaru. 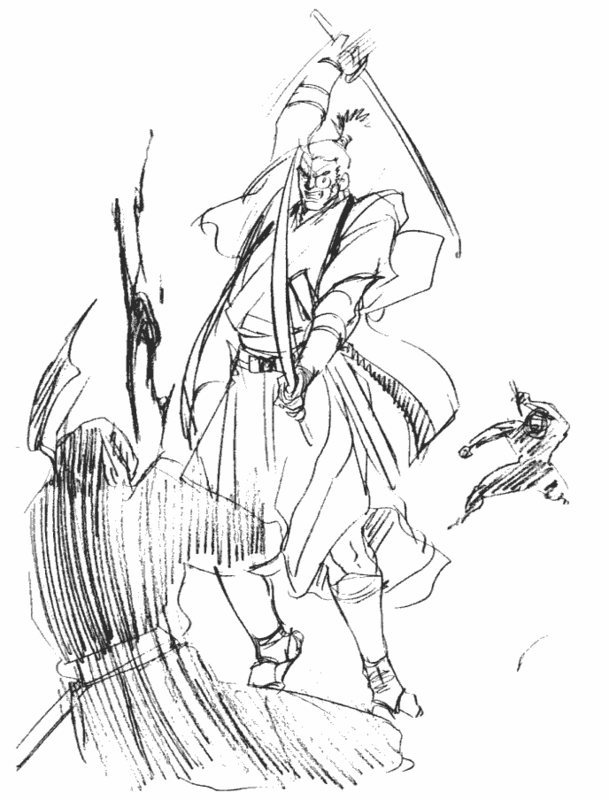 Although he easily defeated him, he decided to find other strong warriors to show the power of Yagyu Shinkageryuu. 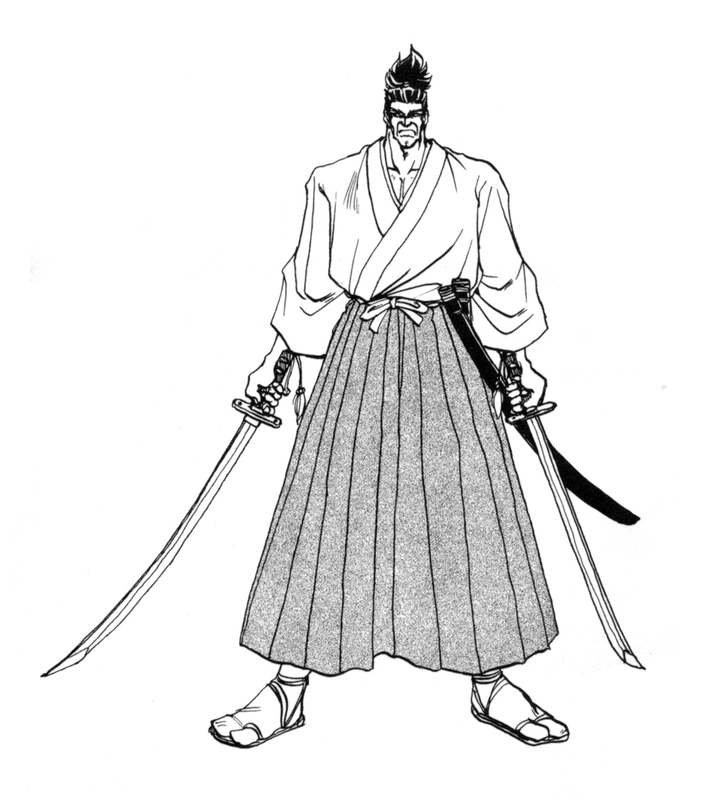 Later, the Bakufu government ordered him to rid of the evil when Amakusa appeared and later Mizuki appeared. 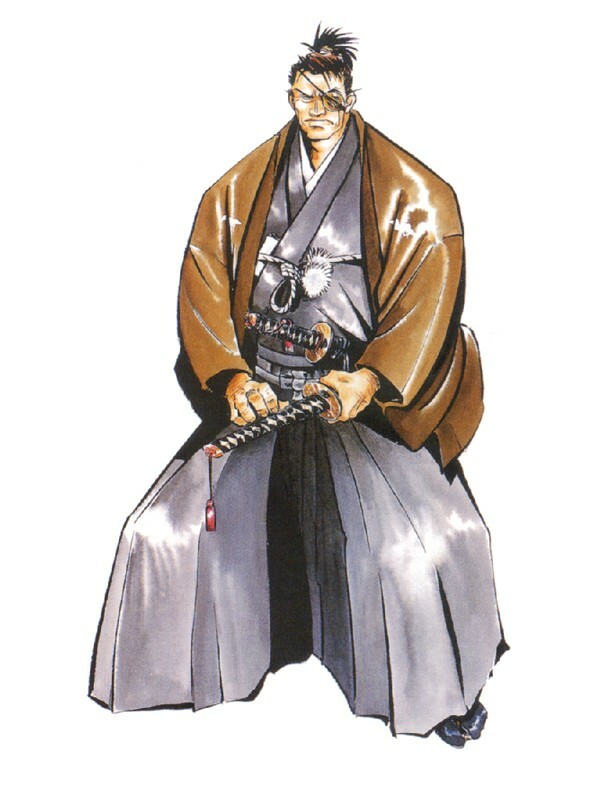 Jubei Yagyu is based off of a character of the same name from the movie Makai Tensei. 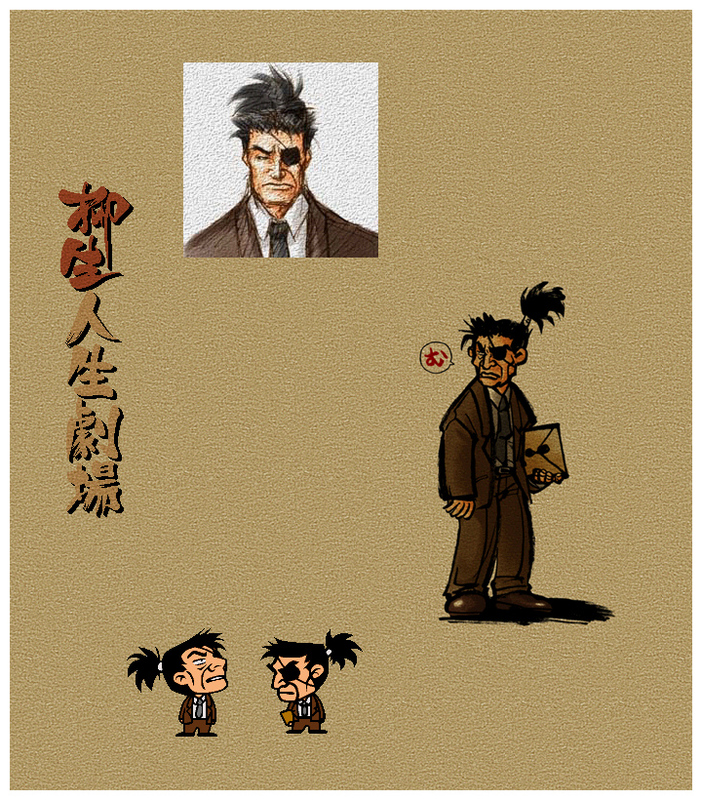 He is also based on the historical figure of the same name. 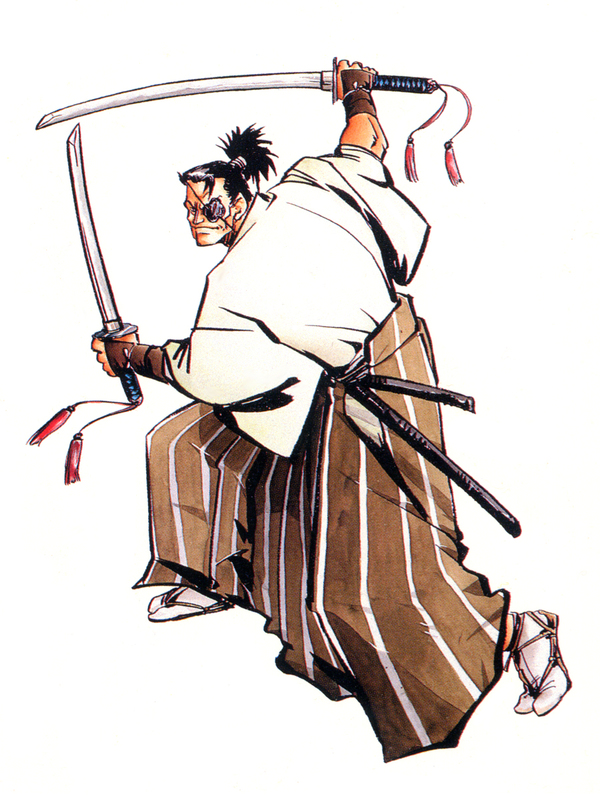 As a fighting game character, Jubei's blatant cockiness and cool fighting style makes him stand out. 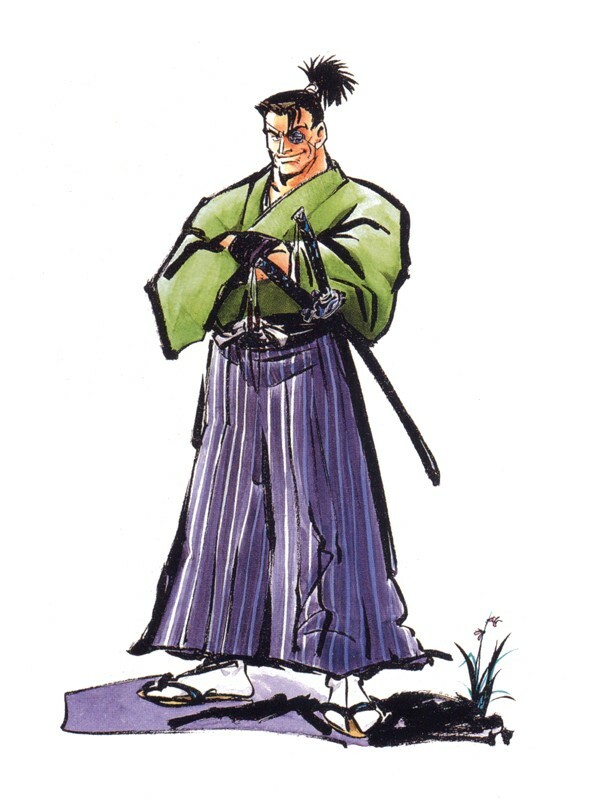 His outfit is somewhat basic, but for a samurai fighting game, a design like this is important. 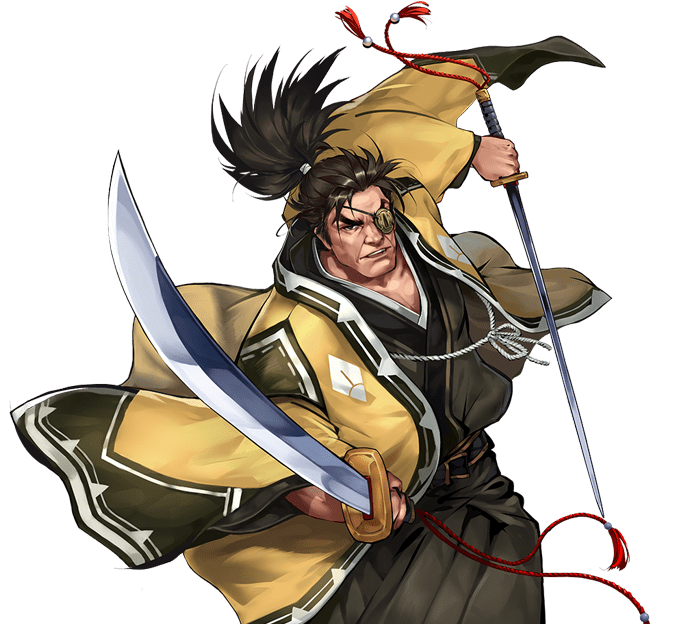 The series has its fair share of colorful and "fantasy" characters, so as one of the few characters in the series that actually looks like an authentic samurai, Yagyu Jubei has always been a likeable character.